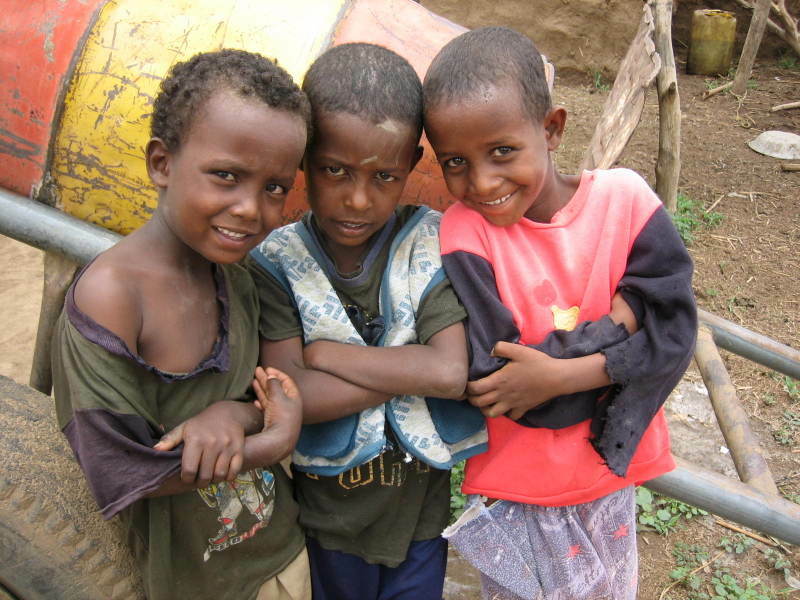 We would like to thank everybody for supporting our Eritrea project, which spanned over five years. We have reached our goal in the country, and are completing our missions here. 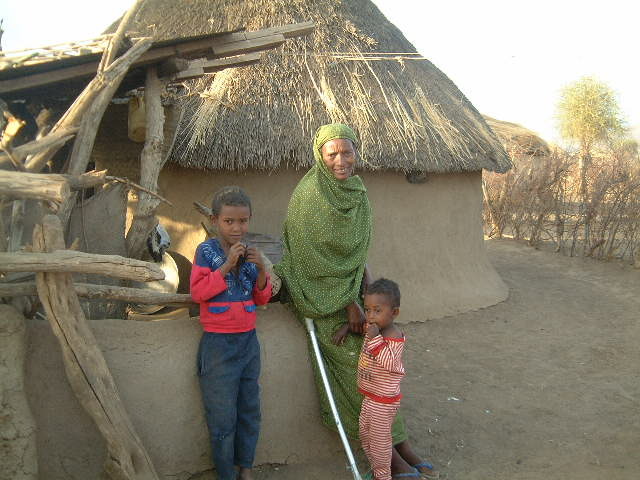 With the eruption of the border dispute between neighbouring Ethiopia in 1998, many people fled as refugees to Sudan. Peace returned to Eritrea in 2000, and more than 200,000 refugees were able to return to their native country in the four years that followed. 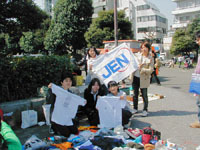 JEN had been conducting support to encourage the independence of returnees since 2002. Most returnees settled in the Goluj along the Sudanese border, an area suited to agriculture thanks to its rich soil. The people were distributed land by the government, and were expected to become independent by producing food for themselves and their family. 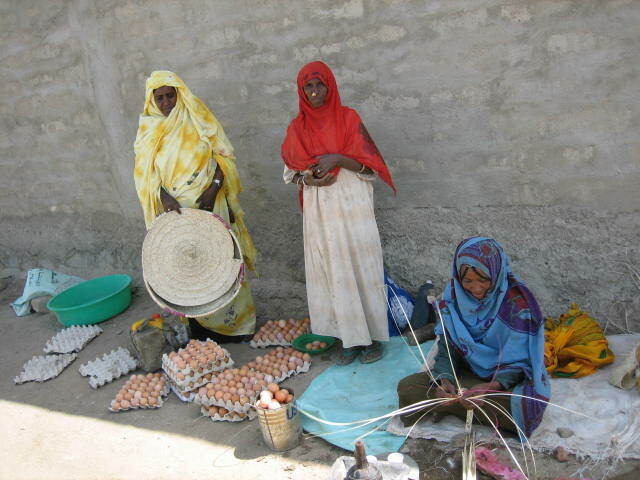 However, due to losing their husbands to the war, or from separating with their Sudanese husbands and returning alone, there were many female heads of households. In order to support their independence, JEN supported the formation of two poultry associations and three tractor associations, as well as provided the respective equipment to each of the associations and conducted the necessary technique and association management trainings. Currently, the poultry association has become independent through the income obtained from selling eggs, and association members are allotted money each month. The members of the tractor association are using the tractors not only to cultivate their fields, but are also lending them to non-members and thus are contributing to the benefit of the community as a whole. According to a survey JEN conducted this year, various problems unique to returnees have been solved, and they are now being able to lead lives at the same level as people who have been living there for decades. Therefore we concluded that we had reached our initial goal of supporting the independence of returnee female heads of households, and decided to withdraw from Eritrea. We give our sincere thanks to all who supported us through the project. We will withdraw from Eritrea, but are currently considering another country to support in order to continue our support to Africa. We ask you to continue your kind support for JEN’s Africa programs. On the 4th of May, a day in the midst of 'Golden Week' for Japan, JEN tractors arrived in the Eritrean village of Goluj. The 2 tractors were loaded upon a truck, and made their way to Goluj over a 2-day, 450-km, 2000m-altitude trip. As if to answer the question that had just popped up in my mind-"So they've made it to the village, but how are they planning to unload those tractors? "-the truck made its way towards a dried up river by the village edge. This river at best is slightly damp during the wet season, and thus in the dry season, is completely dried up. When reversing the truck into the 'river'...bingo! The deck was exactly the same height as the riverbeds. Quite a remarkable feat, don't you think? The village of Gerset is a settlement created for returnees, whom constitute 90 percent of the resident population. 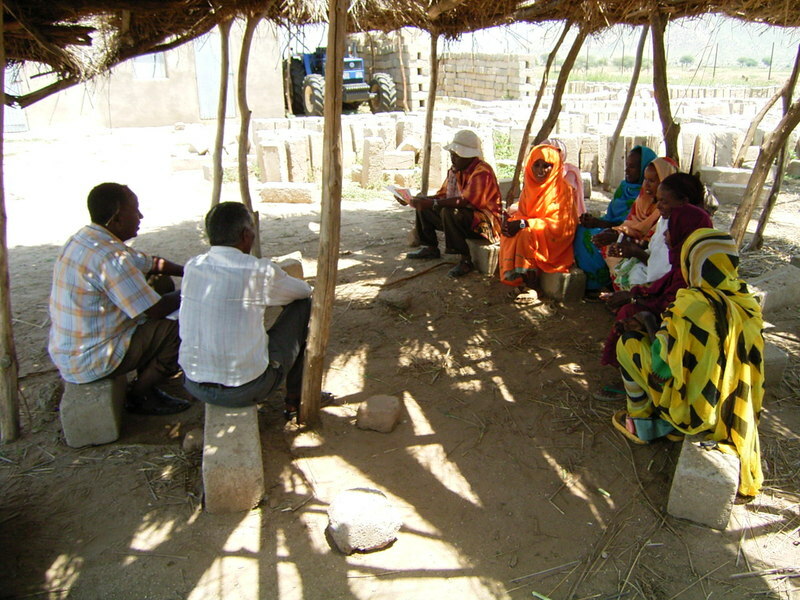 On the 4th of May, a ceremony was held in this small village to hand over the JEN tractors and accompanying materials. Utilizing this equipment, the women in the association will be able to harvest their own land this year. At the ceremony the village mayor gave a speech, and セベネ, the head of the association, signed the contract. Another person who signed the papers was Sofia, who is in charge of all accounting matters of the association. She is from Gerset village, and is its up-and-comer. Sofia used to be one of the poorest women in the village, living by the day on international aid materials and odd jobs. 2 years ago however, with a freshly borrowed 2000 yen in her hand, she began a business selling clothes purchased from a town 30 kms away. She worked hard, and now has a shop in the village market. Her remarkable effort and ability earned her the position of accountant in the association. The accounting officer is an extremely important position, being in charge of money needed for the tractor's fuel as well as for the general maintenance of the machine. Reading and writing skills are a must. 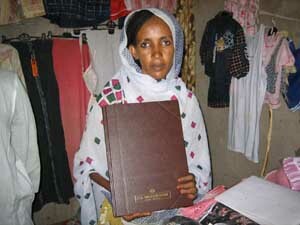 The large account book she holds in the picture is the cash receipt book she is in charge of. The clothes hanging in the back are the ones she sells for business. With Sofia's help, we sincerely hope that the tractors JEN handed over will be well maintained so it may live a long life. Poor crop due to lack of rain has resulted in the rising prices of hen feed. This has come as a direct blow to the Gergef Poultry Association (no. of associates: 30 female returnees) that commenced chicken farming in June, 2005, as the production cost of eggs has began to rise. The already grave situation has only been exacerbated by the outbreak of the bird flu, which in itself, has threatened the existence of Eritrea’s poultry farming. JEN will begin the construction of a feed self-processing facility, utilizing agricultural products grown in the village. After training the 30 members, and if the project manages to get on track, we hope to be able to reduce the feed cost by 25%. We are currently preparing for the construction at a rapid pace, so that the facility may see its completion before the rainy season begins in mid-June.